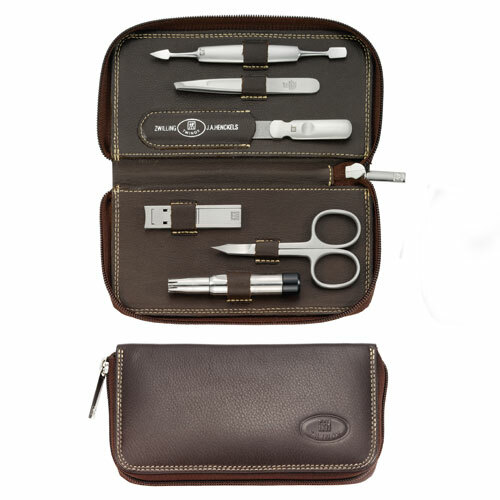 The Zwilling Twinox Emblem Grooming Set contains six high-class stainless steel, satin-finished manicure and grooming instruments. Resistant against corrosion, the precise workmanship results in instruments that will work perfectly for a very long time for the best possible care for hands. Available here.